How Is Our Moving Company Different? When you use Gaithersburg Movers, you are getting not only a professional moving service but one of the premier, full-service moving companies in Gaithersburg, MD. We not only provide service to Gaithersburg, Maryland, but also to Washington D.C. and Virginia. Our licensed, bonded, and insured packers and movers promise to provide you with professional, honest, and dependable service, and up front, flat rate, and competitive pricing. We are fast and friendly, and we provide services as commercial movers, long-distance movers, interstate movers and household movers in Gaithersburg . We have been in business for over a decade, and our flat rate service ensures for you that there will be no hidden fees, unlike other moving companies. Our friendly staff also sets us apart in Gaithersburg, Maryland and you can trust our drivers as professionals with clean driving records who always put safety first. We have the highest quality of packing, unpacking, moving, and customer service skills through our many years of service. Call us now for a free estimate. Whether you are moving locally or long distance, we offer the best service for household movers in Gaithersburg or anywhere in Maryland, Washington D.C. and Virginia. Gaithersburg Movers’ professional staff ensures that your move will go smoothly. If there is a heavy or fragile item that you simply want moved from one room to another, give us a call. We are licensed, bonded, and insured, with years of experience moving just about any sort of item. Take advantage of our professional experience with in-house moves and guarantee that your piano, antique furniture, or heavy appliance will be moved safely, without hassle or damage to your walls, and without the risk of injury. If you have a student about to go to college or who just graduated from college, call Movers in Gaithersburg for professional dorm and student moving services in MD, DC, and VA. Our expert movers will pack your student’s room, disassemble and reassemble any necessary furniture and move the belongings from bedroom to dorm room or back home. Don’t fret if you have a long distance move we can help with these too! When moving, organization is key! Movers in Gaithersburg is here for your convenience and can help your office relocation feel like a walk in the park. Our team of dependable commercial movers is trained to help you pack and move your business to its new locale. We will do our best to make your packing and unpacking easy and organized. 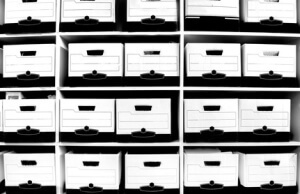 We have packing supplies available and even offer storage space if needed. Our movers have been trained in moving furniture and moving heavy items so that all of your belongings will arrive in pristine condition. Whether it’s from one floor to another, on the same floor, or to a completely new building, let us help you stay on track in such a potentially stressful time. 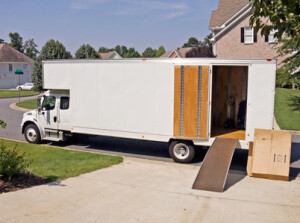 Whether you’re moving up the street, to a different county, or next door, trust Movers in Gaithersburg moving and storage company as your local movers in Gaithersburg, MD – no job is too big or small for us. If you need professional assistance for a rather simple move two blocks away from your home, you can rely on us. At Movers in Gaithersburg, there’s no such thing as a moving job that’s too big or too small. If you’re moving in Gaithersburg, MD just a couple of neighborhoods away, we’re the professionals you need to contact. We also offer long distance moving services. We have interstate moving and across the nation moving services. Taking your possessions across the country is not a problem for our professional packers and movers. We at Movers in Gaithersburg can handle all the packing and unpacking as well as disassembly and reassembly of your furniture. We will transport antiques, heavy items, machinery anything you need moved we can handle! We are licensed, bonded and insured so you can sleep soundly knowing your things will get to your new home or office safely. We pack every item with appropriate padding and supportive and protective material. We handle everything from the most fragile of pieces, and moving antiques, to the most industrial and handle each piece, no matter the shape or the size with the utmost of care so as to prevent breakage, scratches, and dents. If requested, we can also unpack and place each piece where you would like with care. 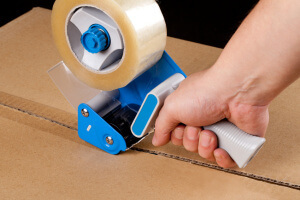 If you prefer to pack the items yourself, you can contact us for packing supplies. Whether fragile or heavy, you can trust us to be extremely careful with your antiques and expensive items as well as your heavy items. We at Movers in Gaithersburg are skilled at moving large items compared to other moving companies in Gaithersburg, MD. 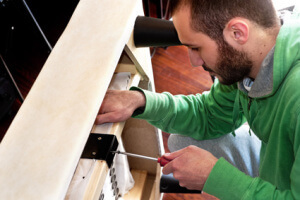 Our movers and packers will assemble and disassemble your furniture at your home or office, if requested. We can take apart and put back together everything from beds and lamps to office cubicles, futons to machinery, and everything in between. Contact Movers in Gaithersburg today for our flat rate price quotes. Movers in Gaithersburg is based in Gaithersburg, MD, where we have served our customers for over a decade. 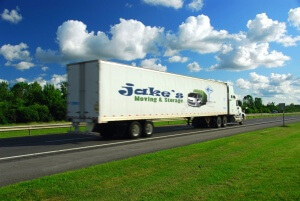 Our mission is to make your residential moves and commercial moves as stress-free as possible. We have developed a team of licensed, bonded, and insured personnel to handle all of your packing and unpacking needs, both your local moves and your long-distance moves, your furniture assembly and disassembly, and your heavy equipment and machinery movers. Above other moving companies in Gaithersburg, we do in-house moves and last minute moves in Gaithersburg, Maryland. Let the staff at Movers in Gaithersburg put our experience and flat rate pricing into action as your local Gaithersburg, MD movers. Of all the moving companies in Gaithersburg, MD, we are the moving company for you! When you require the services of excellence and you live or work in Gaithersburg, MD and surrounding areas, call us for all of your packing, moving, and storage needs.